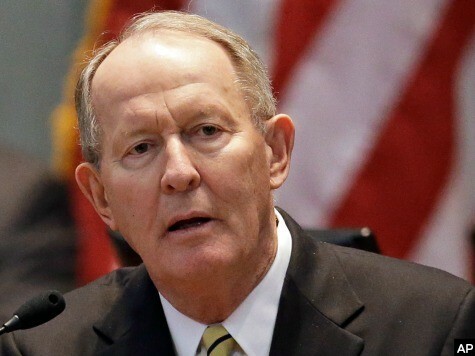 Monday afternoon, Tennessee Sen. Lamar Alexander announced his opposition to President Obama’s proposed military strike on Syria. Alexander’s opposition is important, as his Senate colleague, Sen. Bob Corker, helped author the resolution approving military action. Alexander had also recently come under criticism from his primary opponent for not taking a tougher stance against action. “I will vote ‘no’ because of too much uncertainty about what comes next,” Alexander said in a statement. “After step A, what will be steps B, C, D and E? I see too much risk that the strike will do more harm than good by setting off a chain of consequences that could involve American fighting men and women in another long-term Middle East conflict. “There should be other ways, more appropriate to America’s vital national security interests, to discourage and show our disgust with the Syrian government’s apparent use of chemical weapons on its own people,” Alexander added. Polls consistently show the American public opposed to any action in Syria. The Obama Administration has made a confused case in support of a military strike. Secretary of State John Kerry, seeking to assuage fears that America’s involvement could escalate, said on Monday that the planned strike would be “unbelievably small.” This begs the question as to why the US would involve itself at all. Sen. Alexander is a Republican who will often cross the aisle if he feels a larger national interest is at stake. He is the kind of Senator Obama would need to win support from if his proposal were to succeed. That Alexander is now in the opposition makes Obama’s lift in the Senate that much harder. In the coming days, hopefully, other Senators will follow Alexander’s lead.